Well you are driving down the road and everything is fine when all of a sudden this little yellow light illuminates on your vehicles instrument cluster. That’s right your check engine light comes on! So you hear from a friend that you can go to your local parts store and they will plug in a scan tool and tell you what it needs, for free! All that you have to do is simply pay for the part, and pay a mechanic to replace it! Sound to good to be true? I had a vehicle brought to me, and the customer had done just that. He brought his car to a parts store, the pulled a code P0139 downstream 02 sensor slow response. I received a call from him and I was asked to schedule his car in to replace the suspected bad 02 sensor that was supposedly diagnosed by the parts store. Without looking at the car first I reluctantly ordered a downstream 02 sensor from the dealership for his car. He dropped the car off at my shop for me to work on it in the A.M. I got in the car and started it and I could not help but notice the sound of a small exhaust leak. This vehicle had over 100k miles on it and it is possible that the 02 sensor could be lazy, however any exhaust leak needs to be corrected first. In this case I had to replace the 02 sensor as the part was not in stock and it had to be specially ordered. I called the customer and informed him that I did indeed replace the sensor, but it was likely that the check engine light would come back on due to the exhaust leak. He wanted to drive it and see if the light would come back on, sure enough in just one day the light came on, new 02 sensor, same P0139 slow response code. He called me and I then ordered a new gasket that you can see in the right hand corner of the picture. 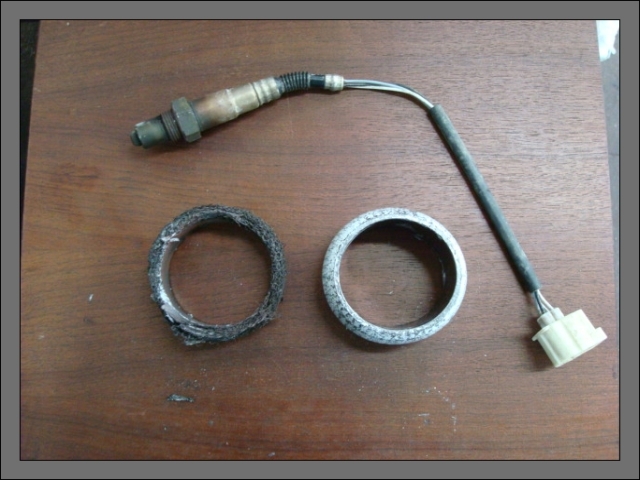 On the left side you can see the bad exhaust donut gasket, the source of the p0139 code.The downstream 02 sensor measures catalytic converter activity and when there is an exhaust leak before the 02 sensor the readings or parameters will be way off then illuminating the check engine light. When a code is pulled from the computer system in your car, it basically points the technician in the right direction. Freeze data stored in the computer needs to be interpreted to properly diagnose most check engine light codes. This is a great service certain automotive parts stores offer, however a part should not be thrown at a car based on the trouble code that is stored. Always be cautious in your approach to saving money on your car, sometimes it can end up costing you more than it should. Oxygen sensor shown on top. 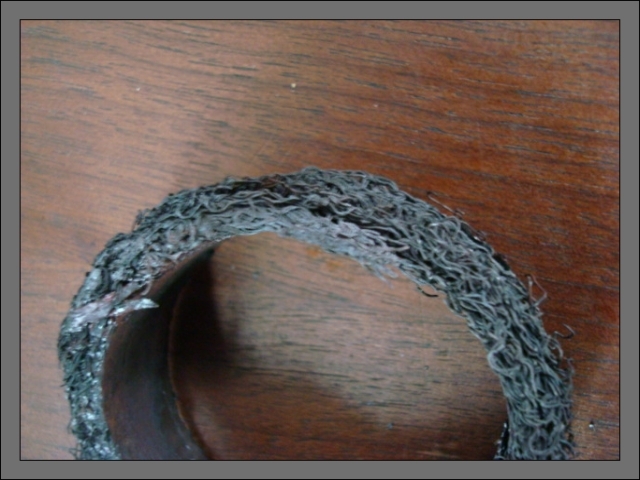 Old exhaust gasket on left. New gasket on right. 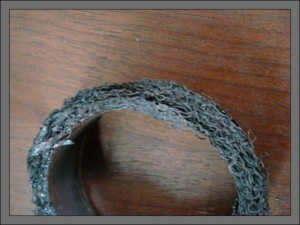 Close up view of bad exhaust gasket. « Carol S. Asks: Why Is My Oil Pan Rusted And Leaking? Can It Be Repaired? Share this blog or post! 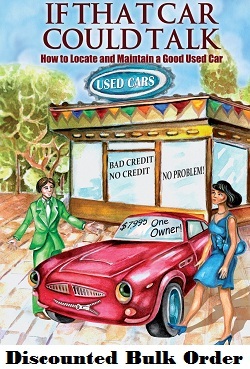 Get Car Tips By E-mail!